Senate President Bukola Saraki has said that the refusal of Inspector General of Police, Ibrahim Idris, to show up for security briefing on the killings across the country in person is a threat to democracy. Saraki stated this via his Twitter page. 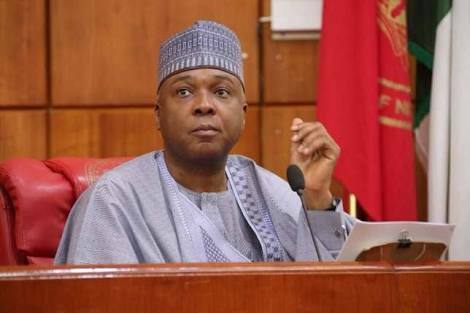 He said Idris' failure to honour Senate invitation is a threat to democracy that cannot be tolerated. 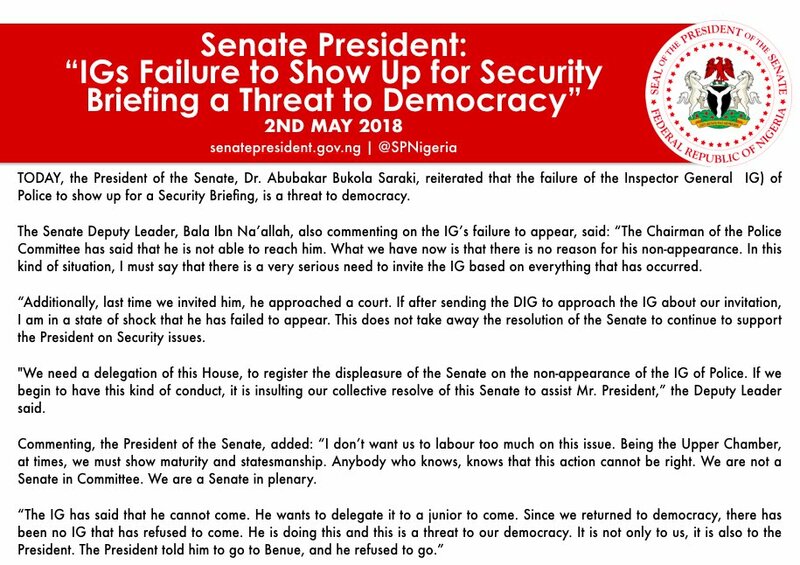 Recall that the Senate had invited Idris to come and brief it on the killings in the country, but, for the second time in less than a week, the IG had declined to make physical appearance. 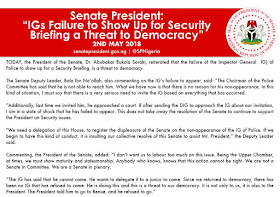 Yesterday, the IG sent Habila again, but the lawmakers condemned the action, saying it could jeopardise democracy.